Producing close to 100,000 tons a year, Turkey is the second most successful producer of honey in the world. Turkish honey is said to be home to the best quality and most delicious that can be found across the globe. In fact, Turkish honey is so highly sought after that importers and consumers now face the growing problem of black market, fake Turkish honey as they struggle to keep up with demand. 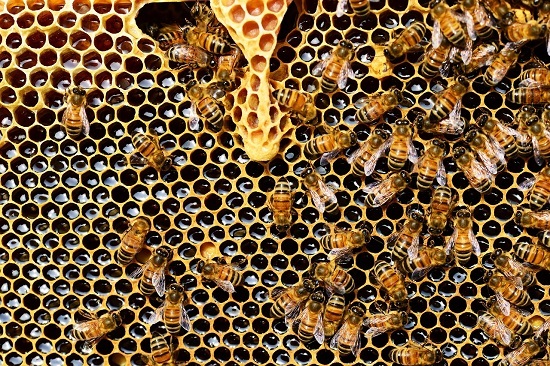 Despite averaging a number of five beehives in every 1 km squared in Turkey, scientists and leading economists believe that Turkey is only utilising 1% of its honey producing potential and are looking at ways to increase this exponentially. Just like wine, honey is differentiated by the source of plant variety as well as location. If you don’t fancy becoming a wine connoisseur, perhaps the sweet and delicate tones of honey are more your style. If so, Turkey is the best place in the world to begin your honey tasting journey. Just as flowers have different colours, forms and aromas, so does honey. Honey produced from the nectar of orange blossom looks and tastes completely different from that produced from the nectar of the chestnut tree blossom for example and then you can throw pine honey, Turkey’s honey crown, into the mix too. In every region in Turkey you can experience a new taste sensation in a spoonful. The fertile environment of Turkey is home to trillions of bees, millions of hives and hundreds of beekeepers who carry out a form of farming that has been around for thousands of years. Beekeeping began as a means to an end while trying to increase agricultural production. Bees are responsible for pollinating about one sixth of the flowering plant species worldwide and approximately 400 different agricultural types of plants. Every time you take a bite of food, you should probably be thanking the world’s bee population. Honey bees, the most widespread of the species found in Turkey, are responsible for pollinating agricultural crops that make up one third of our diet, including fruits and vegetables. Agriculture is a massive industry in Turkey and fruits and vegetables make up a huge percentage of the country’s exports. Without honey bees, the world would not be able to enjoy delicious foods such as onions, cashew nuts, strawberries, chestnuts, watermelons, cucumbers, sunflower seeds, cherries and pomegranates, all foods that are most delicious from Turkey. 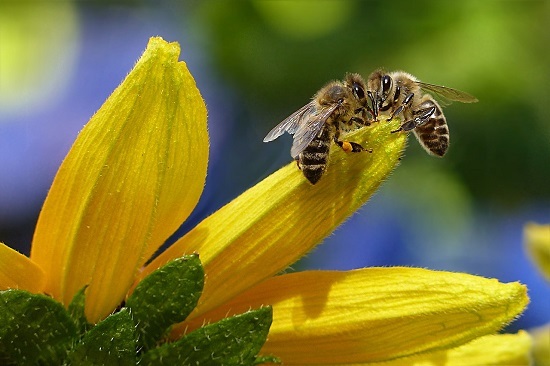 Bee pollination has become so important to Turkish agriculture that in 2015, Bahri Yılmaz of Turkey’s Beekeepers Association announced that bee forests were being established in Turkey with the help of the Ministry of Forestry and Water Affairs to help stabilise and grow agricultural production. All bees have stiff hairs and pockets on their legs, which allow them to collect more pollen and be more efficient transporters of it between plants. Bees are also able to focus their energies on one species of plant at a time. By visiting the same flowers of a particular species in one outing, a much higher quality pollination occurs, rather than spreading many different pollens to different plants which are not being pollinated, all plants of one species are getting an even distribution of vital pollen from others of its same species. Bees are also an incredibly hard working breed and can travel huge distances, speeding up the pollination process and today, most agricultural farmers in Turkey will have their own bee colonies for this very reason. Most beekeepers tend to move their hives throughout the year for pollination purposes and to produce honey, wax, pollen and royal jelly, depending on the season. Bees can be housed in colonies and transported to fields at the right time of year to pollinate certain flowers. For example, in February bee hives may be moved to Izmir in the west or to the Syrian border in the southeast where almond trees will be ready for pollination. In the spring, beekeepers head to the mountains to take advantage of the new spring flowers and the Mediterranean province of Muğla has a long honey flow season ranging from April to November. These moves also enable the bees to have full potential all year round in all facets of their use. 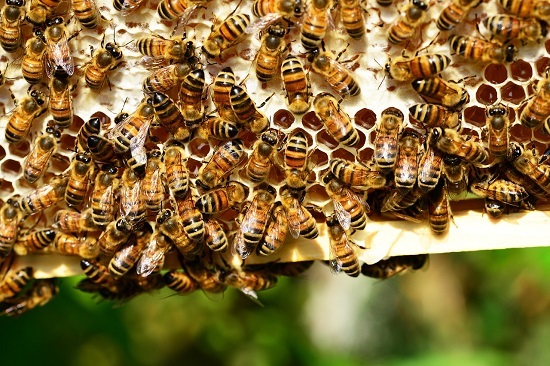 Turks have begun to realise the huge potential in bee farming, not only for agricultural purposes but also for the production of honey and other bee products that are causing a huge stir worldwide. The demand for Turkish bee products has created a number of research centres across the country, dedicated to increasing productivity and creating a big business for Turkish honey. Three quarters of the Artvin Province of the Black Sea Region that borders Georgia is covered with natural forests, mainly of nectarous plants, making it the perfect place to keep bees. 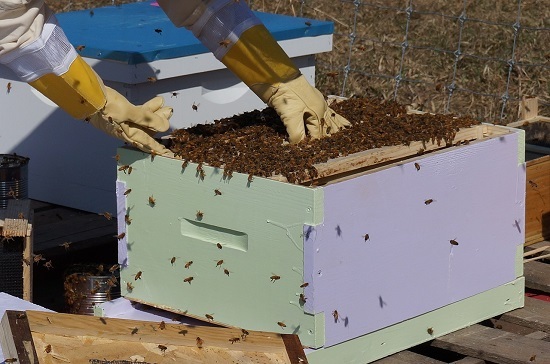 With the support of the TEMA Foundation, northeastern Turkey started to breed queen bees with the intention of producing organic honey to increase local incomes and protect the rural environment. Dedicated to the production of biodiversity and natural habitats, TEMA put all of their efforts into saving the Caucasus Honeybee, a subspecies which was facing extinction. Scientists discovered a genetically pure Caucasus Honeybee and began queen bee rearing, producing 25,000 new queen bees which were then put on the market for the use of beekeepers. Villagers were provided with 10 bee colonies each and receive continuous training and education in beekeeping with hands on supervision to allow them to produce their own queens and to utilise the colonies they already had for mass production of honey and other bee related products. Best of all, all honey produced in this region is completely organic, harvested without feeding the honeybees fructose and saccharose and without using pesticides against parasites and disease. The most sought after variety of honey in Turkey is pine honey, widely produced in the Aegean region of Turkey; 92% of the world’s pine honey is produced here and Muğla Province alone contributes 75%. Pine honey is famous for its darker colour and low glucose and fructose content which gives its taste a less sweet and less bitter aroma than flower honey. Containing more enzymes, amino acids and minerals than any other type of honey, pine honey has found a wide range of uses as a medicinal and food product all over the world, with huge export potential. Pine honey is also proven to aid weight-loss when consumed in a glass of lukewarm water every morning on an empty stomach! Pine honey is produced by honeybees that collect honeydew from a scale insect species which live on certain varieties of pine trees. Tens of thousands of these aphids climb these trees and hide in the cracks of the bark, forming a wide bundle of cotton like wax. This is the honeydew that the bee collects while on its travels, which is then carried into their beehives and is placed in the honeycombs by the worker bees. The mountains of the Aegean region are rich with pine trees making this the best possible place for the production of pine honey. In fact, if you are visiting the area, you’ll be hard pushed to find any other type of honey to pile onto your pancakes or mix with your yoghurt in the morning. Muğla has become such an important area of pine honey production that the International Apiculture and Pine Honey Congress was established there in 2011 where beekeepers and honey specialists come together each year to celebrate all thinks related to pine honey. 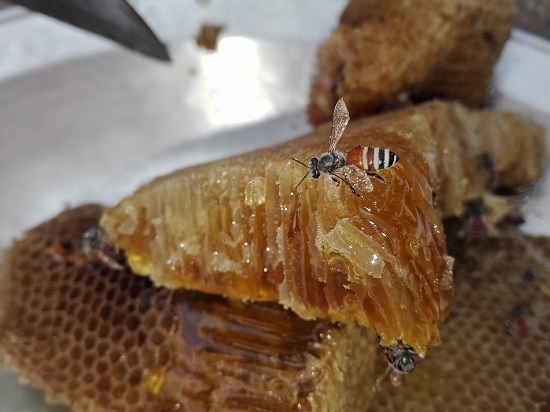 The Ecology Research and Application Centre of Muğla University dedicates an entire department to the production and export of pine honey, providing the industry with specialist scientists who test the honey to ensure that is is safe for sale and consumption. The scientists here also specialise in testing for bee health, pest control and diseases which may affect the future production of pine honey. Science aside, you can walk or drive anywhere in Muğla province and be met by beautiful scenes of honeybee hives at the side of the road, in private backyards and set in rows across fields among the local sheep and livestock. Visit a local restaurant and you may even be lucky enough to eat their local honey straight from the comb. Different types of honey can be found in all 23 of Turkey’s regions and all taste a little different depending on the type of flower or plant used by the bees to create it. We have already mentioned the Black Sea coast which depends on the Caucasus bee to collect pollen from plants such as the rhododendron, but different flavours can be found in chestnut blossom honey and hazelnut honey too. In the Mediterranean bees tend to find citrus flowers and wildflowers and of course in the Aegean region, pine honey. But while Turkey has become internationally known for its production of flower honey and pine honey, there are a few varieties which are so uncommon across the world that they now demand hundreds of pounds or dollars per kilogram. These are the specialist honeys of Turkey. Going back to the Black Sea region of Turkey, Anzer honey has become especially famous for its curative qualities and is unique as the honey is produced from the nectar of around 90 flowers that only grow in the mountains of the Anzer plateau near the town of İkizdere in the Rize Province. Thanks to clinical research, Anzer honey is believed to cure a whole list of ailments including stomach pain, varicose veins, infections, paralysis, loss of memory, cold and flu and it can treat wounds too. It has also been proven to prevent the loss of hair! In 2016, Anzer honey demands as much as 900 Turkish Lira per kilogram; approximately £250. Due to high demand, it is estimated that over a 1000kg will be produced this year. 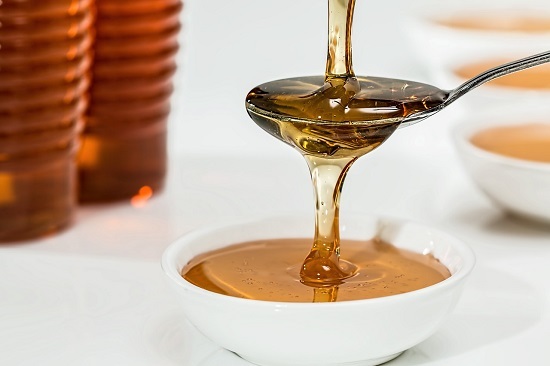 The Black Sea region is also responsible for the production of one legal drug, ‘Mad Honey’, which is said to give its consumer hallucinations and a feeling of ecstasy when eaten. Bees aim for the nectar of certain varieties of the rhododendron plant to create Mad honey, which contain a natural neurotoxin. Of course neurotoxins are officially a poison so it is no surprise that the honey produced from these plants can have an adverse effect when consumed. Perfectly fine, if not quite a lot of fun, in small doses, Mad honey can come with some nasty side effects such as sickness, seizures and even death. While the sale of Mad honey is completely legal, you may be hard pushed to find any over the counter as producers have become more than aware of the trouble it can cause. While locals can often get hold of the fun stuff, they will be cautious to hand any over to a tourist. That’s probably just as well as you may only be able to afford a small spoonful with your breakfast as Mad honey can cost up to five times the amount of flower honey. Elvish Honey is the most expensive honey in the world. Also hailing from the Black Sea Region of Turkey, this golden nectar is extracted directly from the walls of a 1,800 metre deep cave in the Saricayir valley of Artvin city and is incredibly rare and produced in small quantities each year. The first kilogram of Elvish honey was sold for €45,000, though today you may be able to get your hands in a kilo for around €5,000. It may well be so expensive as it come in small quantities, but it also takes a team of professional climbers to get the honey from the cave to your plate. Even so, a little too expensive you may think? What cost would you put on the best and most delicious honey in the world?